The Spanish composer Manuel Castillo wrote prolifically in a wide range of genres. His works for guitar, many of which are unpublished, reveal a keen awareness of the instrument�s expressive and virtuosic potential, whether in the passionate energy of the Sonata or the evocative imagery of the beautiful Kasidas del Alc�zar, inspired by the kasidas (an Arabic poetic form) of the 20th century Sevillian poet Joaqu�n Romero Murube. The masterly Quintet with Guitar is an important addition to the small body of twentieth-century works for guitar and string quartet. This is part of Naxos�s Guitar Collection. 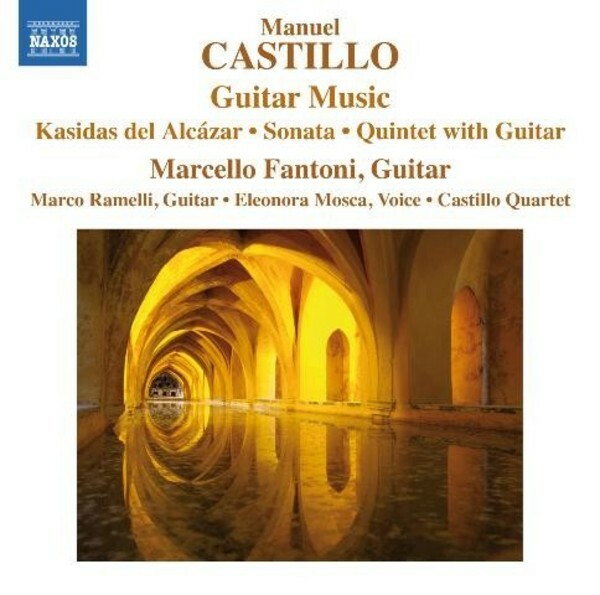 Castillo�s guitar works are rare on disc, given that very little was actually published and much still remains in manuscript. His piano works are significantly better known. Castillo trod a mid-path, neither lapsing into Late-Romanticism nor embracing the avant-garde. His guitar music is highly approachable and full of expression and colour. The Quintet with Guitar is a very rare example of this combination in the twentieth-century of guitar with string quartet and should make an immediate appeal.